Well some think that these two are competing concepts, however the bottom line is that an ‘inverter’ is an equipment to convert Direct Current (D.C.) into Alternating Current (A.C.) where as an UPS (Uninterrupted Power Supply) is a circuitry which allows an instantaneous switch to the backup power source in case of a power failure thereby ensuring an uninterrupted power supply to sensitive equipments like a computer. Now the only thing which needs an uninterrupted power supply in my list of equipments is the notebook, but that is anyway ensured by the notebook battery. So do I need a UPS? Well yes, I would want an uninterrupted internet connection in case of a power failure so I need the modem and router running in continuum. Square Wave Inverters: Popularly known as ‘Digital Inverters’ produce a Square Wave AC output which is not so great to run appliances as all the appliances are designed to run on a Sine Wave Alternating Current Pattern. Also, you would notice a humming sound in some of the appliances. Though electrical appliances would bear this, running electronic appliances over Square Wave is not at all recommended. Sine Wave Inverters: These inverters produce the right wave pattern (Sine Wave) for which the appliances are designed. One can safely run most of the appliances on such current output. Quasi Sine Wave Inverters: These fall somewhere in-between the above. I am not too sure about the internals. Also, didn’t find them in the market. But apparently they offer a low cost solution to run PCs and other electronic equipments on inverters. Standard Batteries: Loads of them available in the market. But they need maintenance i.e. putting in the distilled water on an ongoing basis. Maintenance Free Batteries: While some claim they don’t need maintenance throughout their life-time, most of the maintenance free batteries need maintenance once a year or so. Though tubular batteries are a bit expensive, but considering their advantages I concluded that in the long-run, they actually turn out cheaper. To wrap this up, let’s quickly get back to the calculations. So I needed a solution which could provide me with 630 Watts of power for 3 hours. Inverters available in the market are generally rated in VA/KVA. Luckily, for me we have 800 VA inverters available in the market, which perfectly fit to my needs. Note that this is a limiting factor w.r.t. the total wattage of appliances you can use. For instance I can’t run a 1000 watt appliance on an 800 VA inverter! Again, luckily I discovered that we have batteries rated 165 AH in the market. So I decided to go with it. Bingo! I have the details now. I need an 800VA inverter and a 165 AH battery for my needs. I just need to decide upon a brand based on the reviews. Backup Time (Hours) = (Battery Voltage * Rating (in AH))/ Wattage required. And the remaining standard features which Dell ships it with. The performance is pretty good for most of the applications I’ve used so far, which include some demanding development environments. So I would say from a developer’s perspective, it gives a decent performance and should continue to do so for some time to come (till the environments get more demanding!). I had opted for a glossy screen (Dell calls it True-Life) and I must say it’s better than some of them I’ve seen to far. As in, it is not glossy enough to the point of seeing my own face while working (though you can use it as a mirror if you turn off the screen for a while)! The display is pretty sharp and clear. Also the screen is easy to clean. The keyboard is nicely laid out and is convenient to use. 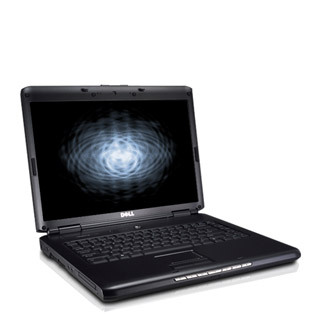 An important feature of Dell Vostro is Media Direct, which allows you to play media without having to boot the machine. And to help the cause, the media controls are provided at the front (along with the speakers too!). So without opening the screen, you can listen to your favorite music! Cool isn’t it? Well its not straight out-of-box and you need to configure it esp. if you have played around with the default partitioning and re-installed the OS. Now the best part is that I was able to install Ubuntu Linux 7.1 Gusty Gibbon without any fuss and with a little bit of research got the sound and the infamous Hibernate/Suspend working on it. Though I may be lucky to get stuff working relatively easily, but I can safely say that the hardware is supported and you can make things work with Ubuntu 7.1. I’ll try and cover these in separate posts. Ah, how can I miss this one! It seems that the designers of the Vostro Series were inspired by Forensic Sciences. No matter how clean you make your hands before touching the top panel to open the laptop, your fingerprints are bound to be inscribed on the so called matt finish. And then you have to really work hard if you want those to disappear from there. Probably this is the only thing which irritates me and I’ll have to learn to live with it. But all in all, I am quite satisfied with what I have. I would rate it 8 out of 10.